Egy modell a márka Tamiya a készlet: Italian Heavy Tank P40 – Tamiya 89792 . 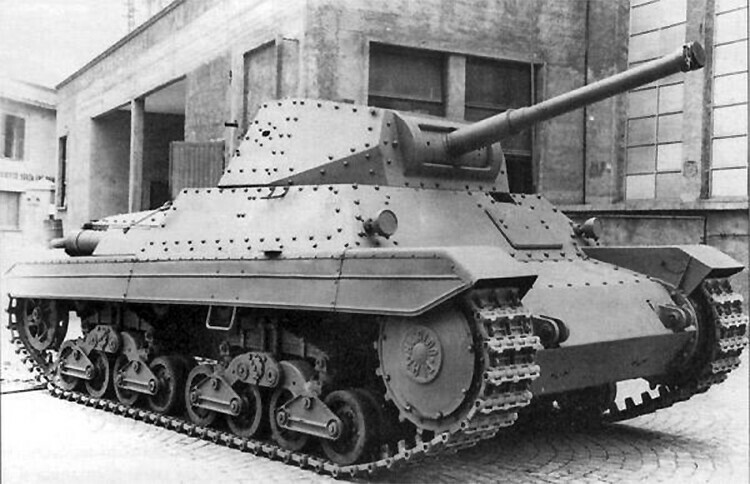 During WWII, the only heavy tank produced by Italy was the P40. The P stands for Pesante, or heavy in Italian, and the number 40 for the year of adoption, 1940. The tank featured bogey-style wheels on a lead spring suspension. The riveted hull construction was the same as the earlier Carro Armato M13/40 (Item 32596). 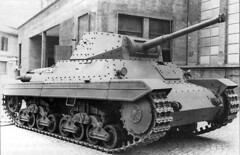 The tank was equipped with a 75mm gun and an 8mm Breda machine gun and was powered by a 330hp V12 diesel engine. 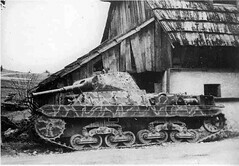 The P40 adopted sloped armor after encountering the Soviet T-34s in battle. 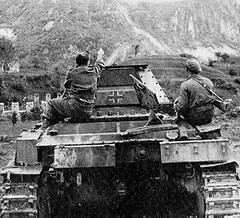 Roughly 1,200 tanks were order, but only a few were completed before the Italian Armistice in 1943. 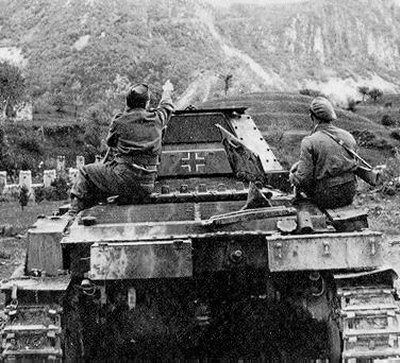 Approximately 100 tanks were use from then to the end of the war in Northern Italy and Yugoslavia. -Limited edition 1/35 scale plastic assembly kit of the Italian Heavy Tank P40. -Made by Italeri. -Length: 165mm. -Riveted hull, sloped armor, and leaf spring suspension have all been realistically reproduced. -Assembly type tracks included. -Photo-etched parts include exhaust covers, jerry can racks, and fender stays. -Markings included to depict Fiat Ansaldo’s prototype tank as well as German vehicles. (3 types of markings total). -40 page photo reference book included. -Item 89796 1/35 Metal Gun Barrel for Italian Heavy Tank P40 (Available Seperately.